StompIO Expression Pedal, MIDI Pedal from IK Multimedia. 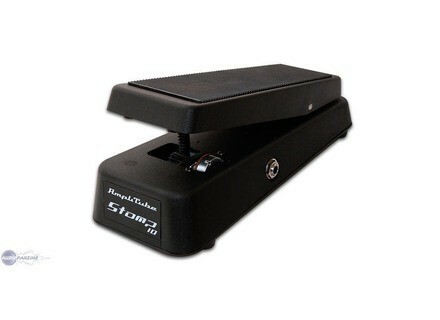 IK Multimedia announces the shipping of a new range of accessories dedicated to the brand's StompIO controller, including this StompIO Expression Pedal. According to IK Multimedia, this sturdy expression pedal can be used as one of the six external StompIO control pedals, but is also compatible with all standard processors and MIDI-controllable equipment. With its tough metal construction and classic wah-style action, this pedal was designed to deliver the same feel as traditional wah and volume pedals (no on/off switch included). It includes a 1/4" jack and 18" cable. MSRP is $79.99 / €59.99. M-Audio Releases Transfuser M-Audio has added Transfuser to their Audio Software product line. Transfuser is a real-time, loop-, phrase- and groove-creation workstation for Pro Tools M-Powered and Pro Tools systems. V5.1 of the UAD Powered Plug-Ins Universal Audio has announced v5.1 of the UAD Powered Plug-Ins Software for the UAD DSP Platform.